Wow, two updates from Apple in the same week. 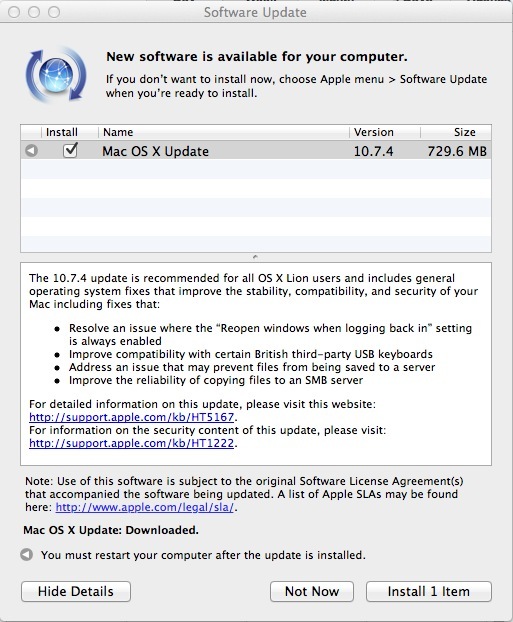 I was a little leary about the Mac OS X 10.7.4 update for my MacBook Pro simply because it was 729.6MB in size! The good news is that it installed just fine and my laptop still works. This is deja vu from decades of using Windows computers where I received at least two updates per month and have to reboot my computer to complete the installation. It’s so odd to reboot because other operating systems like Linux hardly ever require a reboot to install software. 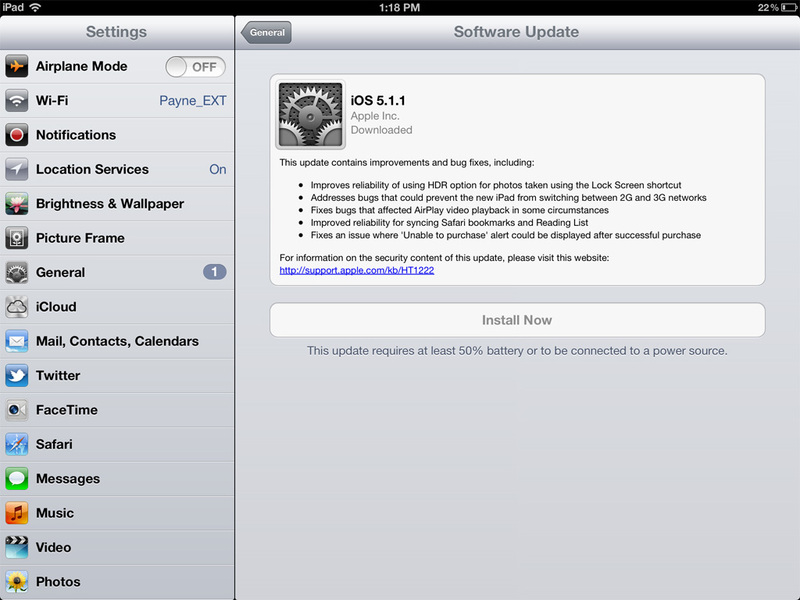 My iPad is another story because I just bought it on March 16th and have never updated the iOS before. All went well with this install and I have to credit Apple with being thorough in telling me what is being updated with the iOS operating system, plus they noted that I should have my iPad plugged in.